I write about health ,wellness and my journey as a mompreneur on my blog. While writing ,the most important thing I try to remember is to make it readable (Yoast helps ). Even the best information, finds no takers if it’s boring .If it has no story to tell ,it will find few takers. When I started Blogging all the best bloggers suggested, you need to tell a story . I really didn’t get it maybe because writing about reflux and depression was difficult for me as a story. (*affiliate link).. a memoir of the craft ” was just ,the book I needed to read. King makes grammar lessons interesting.I finished reading this book (the main 327 pages ) in four hours.Don’t forget it’s nonfiction . 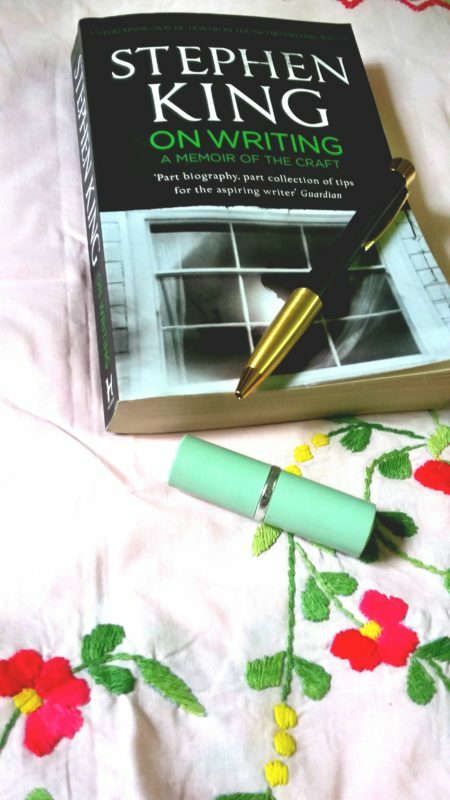 The book was described by the Guardian as “part biography part collection of tips for the aspiring writers.”Its one of the books you must read, if you want to write well. Stephen King is one of the bestselling writer of horror fiction books. When I thought about learning how to tell a story even in nonfiction ,the best way to learn was from the master of fiction. I approached the book with a lot of worry.A book on writing ? But the author has you hooked from the forward itself.He talks about his passion for” the art and craft of telling stories on paper”. “to read a lot and write a lot”. Now to give you the nitty gritty of the book. 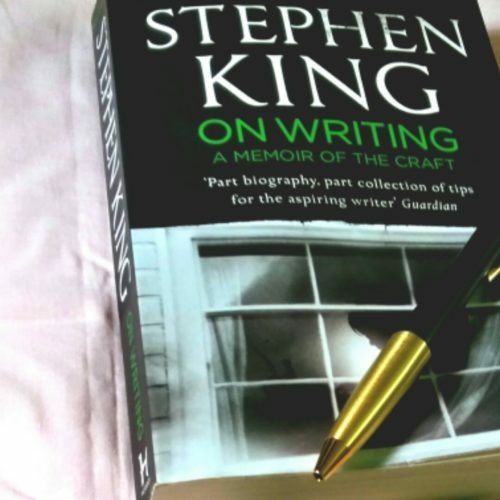 The story of how Stephen King became Stephen King.Reading it, you will realize why hardships are important. For you to reach your full potential ,your experiences are important. The good, bad and the ugly. The author had a less than perfect childhood.But what he experienced, gave him the skills and the perfect mindset ,to spin tales out of thin air. In the CV he says” my attempt to show how one writer was formed”. He believes writing comes from within.You are born with the necessary “equipment “. Not necessarily best seller material but certain raw material needs to be there as storyteller. With learning ,practice these skills can be strengthened and sharpened. That’s why you need to read.If you read the masters, you learn.When you read books which are not that good,even then you learn. You realize that most of the human weakness and doubts are universal. That’s the wonderful thing about reading about famous people. He says that good writing need not just be about heavy important topics. It can be simultaneously, intoxicating and idea driven. As a blogger you are a writer .Have you not felt the biggest adrenaline rush when someone praises your way of storytelling. Just like the Aesop’s fables the best lessons are learned when they are sugar wrapped. Just because the topic about which you write is serious it need not be boring. Why I loved this part? The author is a serious book addict .That makes us book soul _siblings (separated by time,space and reality). He carries a book everywhere (just like me).King reads while walking on the treadmill! In the last part of the CV he talks of performing a mentalist routine over time and distance. Reading the CV you will realize why writing,fiction or nonfiction is visual.If you can make your readers picture it in their mind.You have done your part as a writer. The author,talks about the grammar,length of sentence and the most importantly. ” We are talking about tools and carpentry ,about words and styles…but as we move along ,you’d do well to remember that we are also talking about magic”. That’s example of intoxicating nonfiction.Making you imagine you can weave magic out of words. Before you write don’t forget to read .That’s a deep lesson.”Reading is the creative centre of a writer’s life”. I think that’s why I love blogs too.You can read so many different types and learn so much. He advises four to six hours writing every day together with reading a lot. That is the great commandment in this section. He very wisely tells you to write about what you know and mix it up with your experiences of life.That’s a pretty potent formula. The last part is about his resurrection after a life altering event. “Writing is magic,as much the water of life as any other creative art.The water is free.So drink”. If you are writing in any way,i f you want to write…don’t stop. If there’s one book on writing which you must read , it is this one.I thought I would get a grammar handbook.What I got was a life handbook. Writing is cleansing.Writing is cathartic. Writing is happiness.Writing is Immortality. Want exclusive tips and hacks to blog better? I’ve heard such good things about this book! Thanks so much for sharing it at Booknificent Thursday on Mommynificent.com! This sounds very interesting and now I know where you got the inspiration from – Chat from Treadmill! This looks like an interesting book and I am tempted to buy it right now. Although..my hands are so full right now that I dont get time to read books..this one looks like something not to be missed. Thsi is a favourite book of mine.Thanks Deepa .hope you read it. Thank you so much .Appreciate your feedback on this . I absolutely love Stephen King! I’ve read all of his books and I think I’ll pick this one up. I like reading too, you get the see a ton of different posts and places you may have never seen otherwise. Thanks for the recommendation. Ooooo this sounds like one great read!!! I’m definitely going to have to check this out! Yes its a great read. So you know, Stephen king is one author whos work I’ve never read. This has inspired me! Sounds like an interest read. Stephen King is awesome! This book sounds interesting and nice review! I’d definitely check this out! I love Stephen King and this was really interesting to read. Great read! Thanks Jasmine.I enjoyed reading it tremendously. Loved this! I love Stephen King! Hello, Amrita -hope you remember….. I loved reading this journal….. Well, I read this book…. n you just reminded me yet again…. those essential points…. I really agree with it. I wanna appreciate your effort as a blogger, I like your writing…. Sounds like an interesting book! I had no idea he’d written a non-fiction self-help kind of book! I am such a Stephen King lover, I even listen to the books on cd’s in my car. He is a great person to teach others how to write a great memoir. One thing about Stephen King he can pull you in with his stories and draw you in til the end of the book. Great review!!! This is such a great post! I love Stephen King books so this was really interesting to read. Great review. Im trying to read as well as write as much I can this summer #personalgoals ! Hi Nam Rata those are my life goals right now.Together with keeping sane😊.